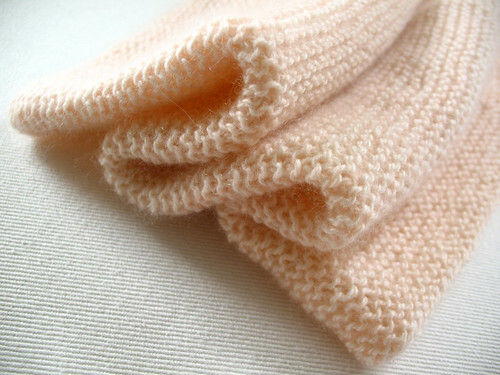 Despite being on holidays for 3 weeks, I don't have much knitting to show you. I did work endlessly on the ol' bog, but holy mack it's s l o w . . . I could post a picture, but it would just be a slightly bigger garter blob than my last photo. 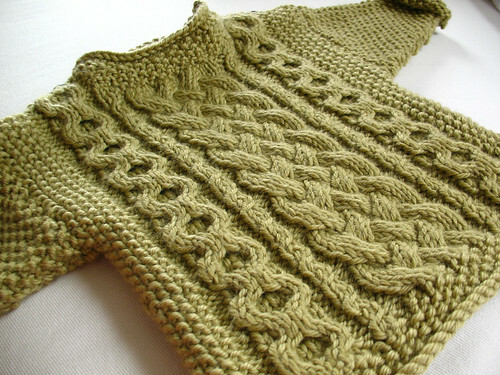 I'd much rather show you a finished garment. Hopefully soon! 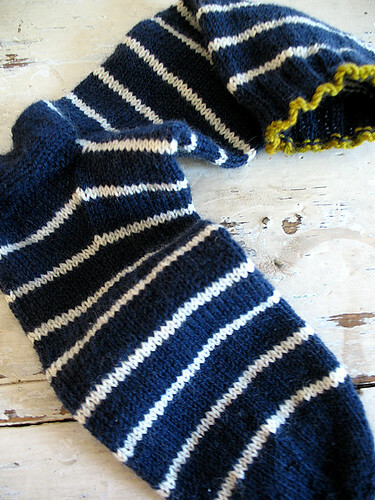 The only other knitting I've done is this little sock. 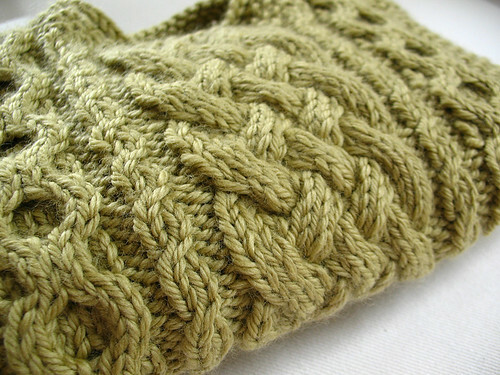 It's a bit too tight for my foot, so I'll be shipping them back to my Maman once I've finished the second one. 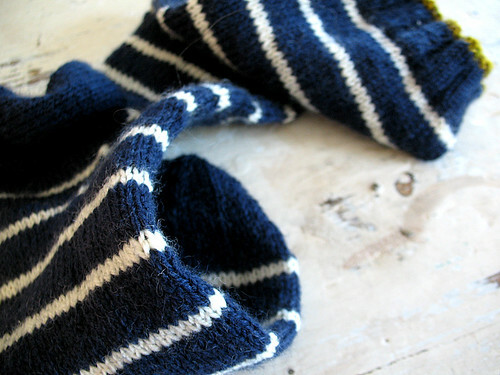 Pattern: my own generic sock recipe. 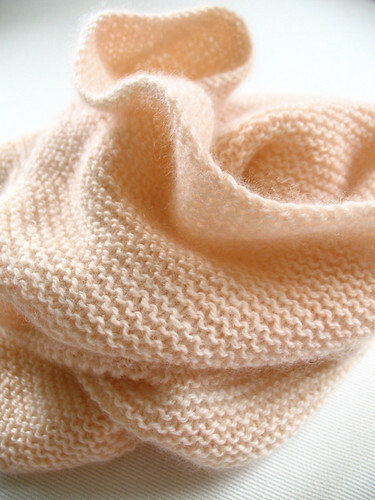 Yarn: Phildar Preface, 70% wool/30% polyamid, in marine and ecru. Also a little cuff edge out of leftover STR in Pondscum. There is something so crisp and fresh about nautical stripes. 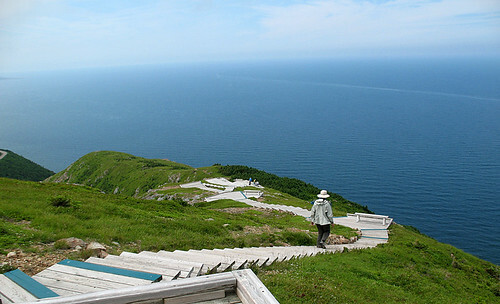 Part of our vacation was spent camping and hiking through heavenly Cape Breton Island in Nova Scotia. 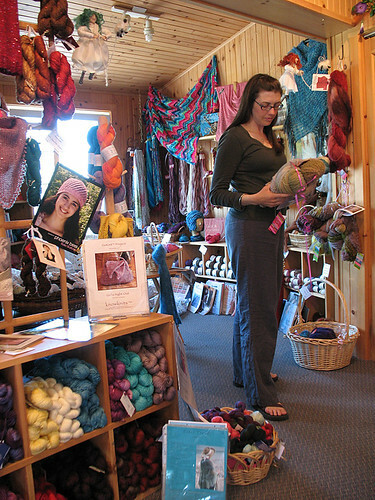 London-Wul is a charming fibre studio not far from my parents in Lakeburn New-Brunswick. 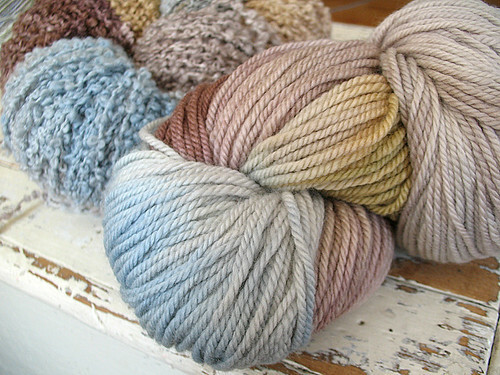 In addition to some great commercial yarns, they had their own beautiful handmade yarns. 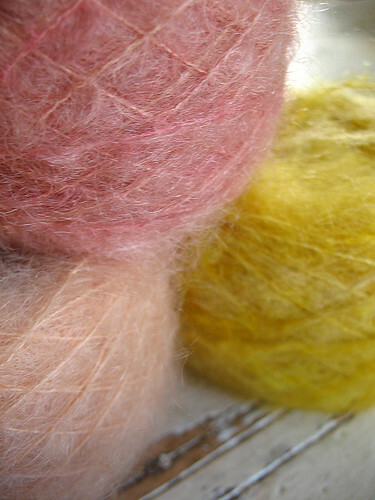 I walked away with 3 balls of frothy plant-dyed mohair, enough for a lacy scarf. Baadeck yarns is such a charming place, and they had some fantastic Fleece Artist yarn specifically dyed for the store in locally-inspired colourways (nope, you can't get it anywhere else). How could I resist? 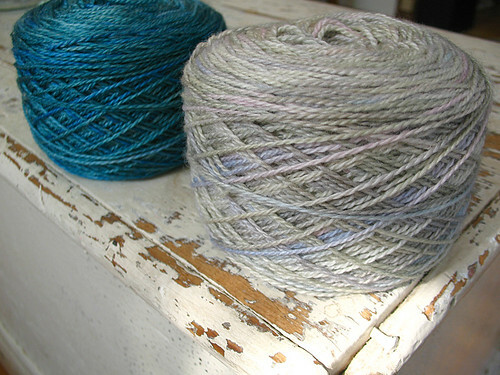 In the front, Wooly Silk 2-ply, in "Baadeck Summer" colourway. 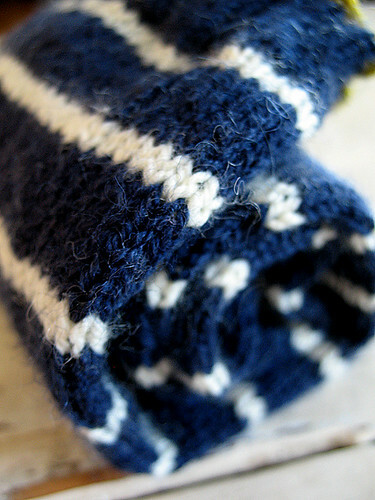 In the back, Sea Wool, in "Cape-Breton Highlands" colourway. 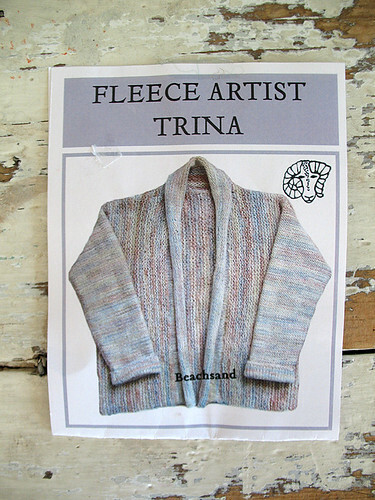 Trina sweater kit, in "Beachsand" colourway. Taking a long, unplugged vacation was great, but I must admit I missed you all! Now my Bloglines are groaning under the weight of all those unread posts. No doubt you've all been up to beautiful, funny, wonderful things while I was away, and I wish I had time to go through it all, but I'm afraid I'm going to hit the dreaded "mark all read" button. I know you'll understand! Oh, and just because I was feeling breezy, I did something I've been thinking about for a long time. 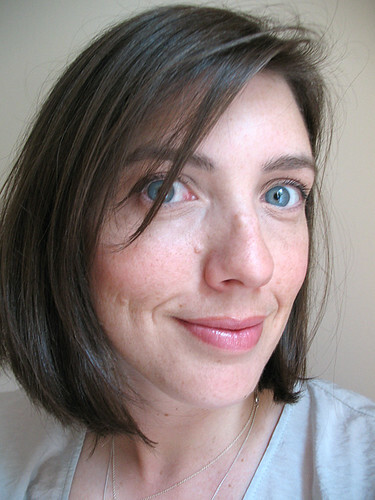 After about 13 years of looong hair, I went for the big chop! I love it. The best part is that enough was cut off to donate to Locks of Love.